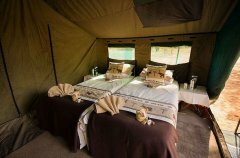 John Chase Safaris is a luxury mobile safari operation offering guided tours of Botswana’s top destinations on a mobile camping basis. 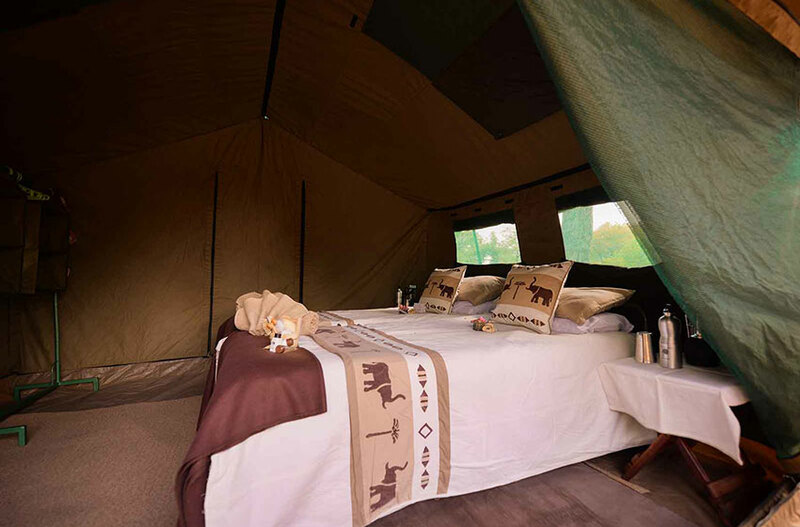 Spacious Meru-style tented accommodation with en suite bush bathrooms and bucket showers are complete with twin beds, floor rugs, canvas cupboard space, and shaded canvas verandahs. 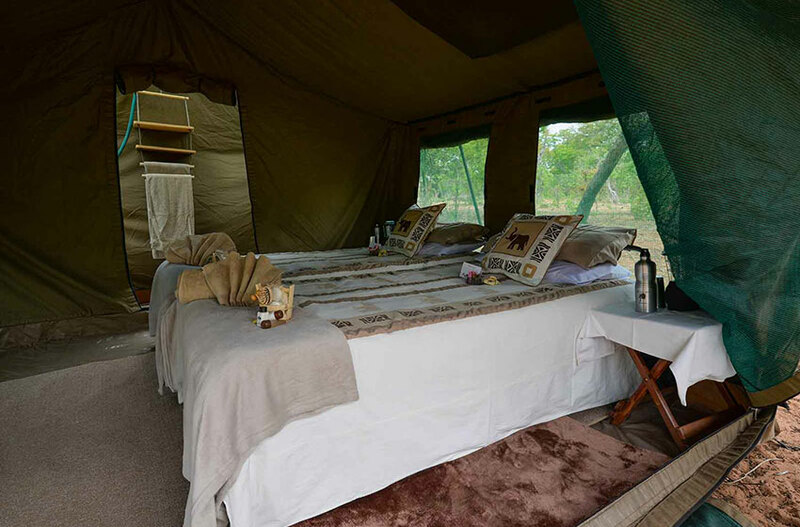 A minimum of 4, and a maximum of 12 people are accommodated in utmost comfort and style while experiencing the excitement of camping in the wild. 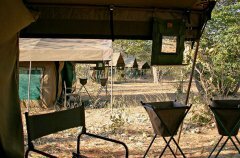 No electricity in camp, but an inverter is available for charging of camera and mobile phone batteries. 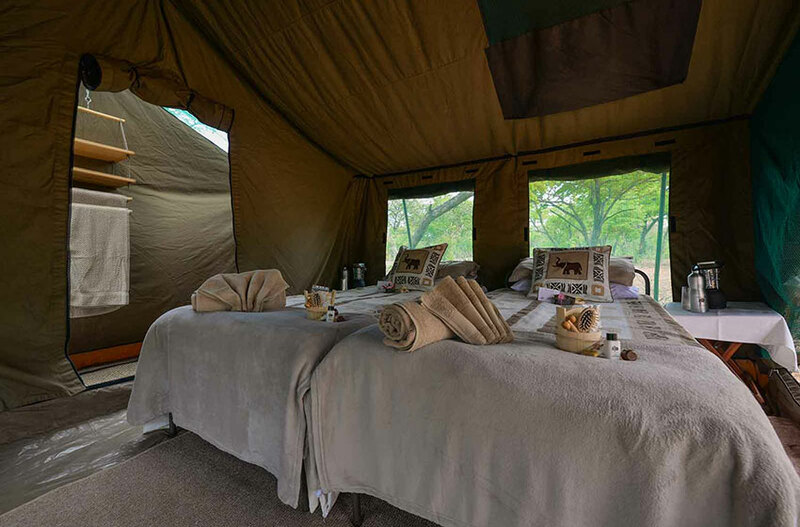 Both tailored itineraries, and set-departure trips are catered for, offering exclusivity and convenience for a variety of clientele. Climate in Botswana brings very hot, dry periods (September, October), and also very wet seasons (December-February). Winter (June, July, August) packs cold nights and mild, dry days, while November to February is hot and wet. 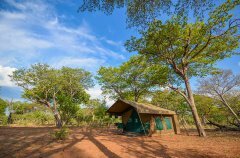 The climate in Botswana brings very hot, dry periods and also very wet seasons. Winter (June, July, August) pack cold nights and mild, dry days. Depending on what time of year you travel, you will need certain essentials. » Bring sun protection in the form of sunblock,sun hats, and glasses. » Scarfs, jackets and gloves are needed for early mornings on the boat, especially in winter. » Comfortable walking shoes are essential, as is sun protection in the form of hats, sunglasses and sun block. » Bring along cameras, binoculars and recording gadgets to keep a record of the many wildlife sightings. Rates exclude international flights,premiumimporteddrinks, travel insurance, visas, items of a personal natureandgratuities. Below is an outline of a typical day on safari with John Chase Safaris. 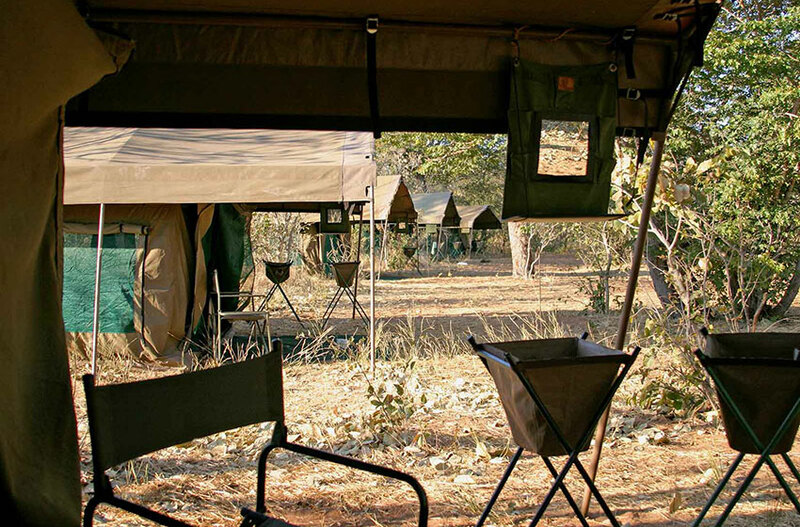 The schedule is tailored to the specific itinerary, which may change on transfer days or full day safaris. 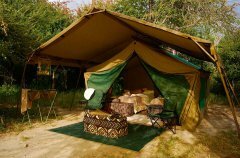 • All National Park fees and camping fees in Botswana. • All meals and beverages (mineral water, softdrinks, beer, local wines) in Botswana camp and lodge. • Daily laundry service when there are no water restrictions. 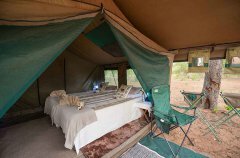 • Any extra activities not mentioned on original itinerary and quote. after these stated times would be liable for additional park and guide fees. • Tips and gratuities for guides and staff. 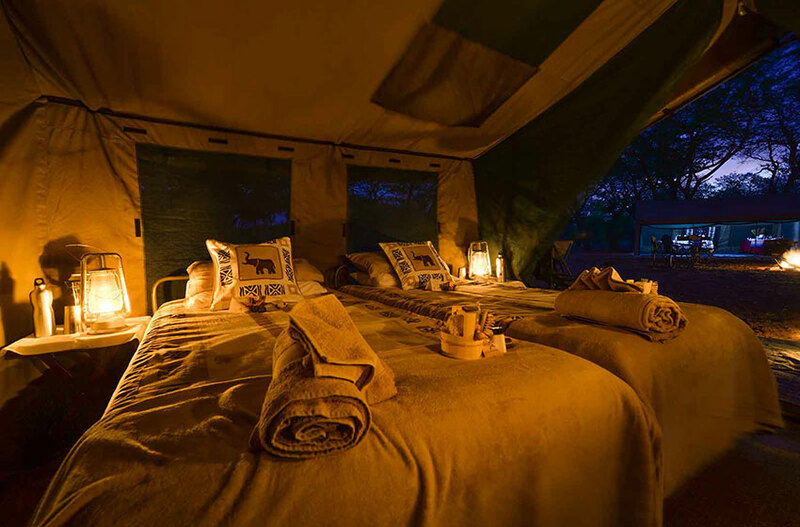 All the best bits of Botswana. This country is home to an incredibly diverse environment hosting a wide variety of Africa’s biggest and smallest fauna and flora. 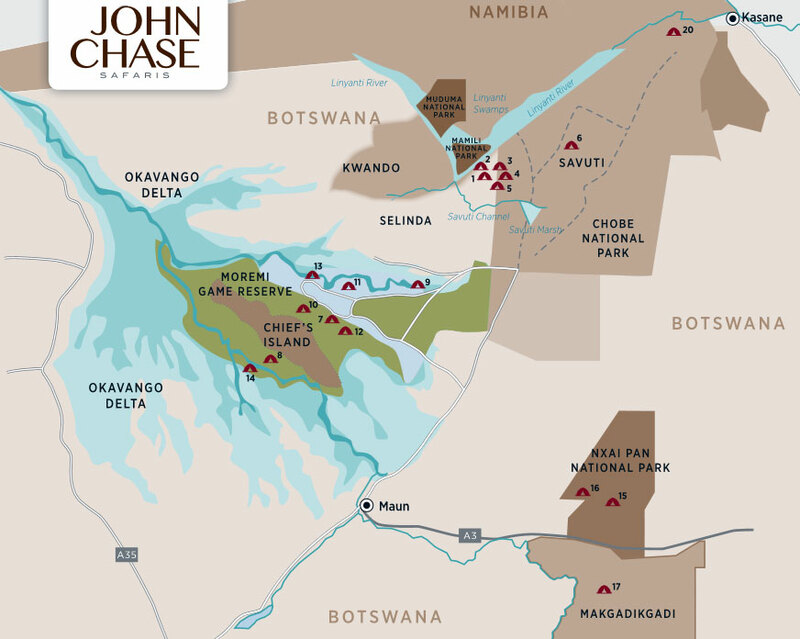 John Chase Safaris is a mobile adventure through multiple destinations in Botswana, seamlessly sewn together by the experts. 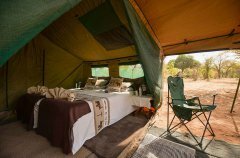 Itineraries include luxury camping or lodging in Moremi Game Reserve, Central Kalahari, Makgadikgadi Pans, Nxai Pan, and Chobe National Park. 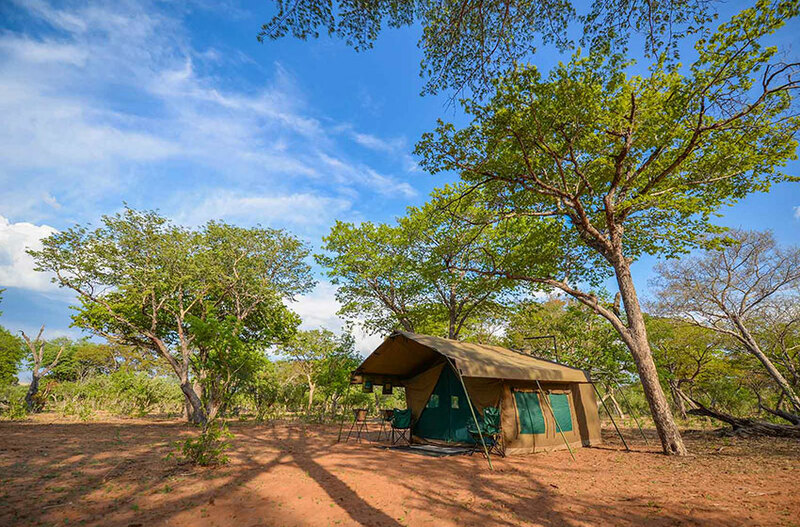 Pre-prepared camps are located in private BOGA (Botswana Guides Association) or HATAB (Hospitality and Tourism Association of Botswana) sites well off the beaten track, while luxury lodges in Savuti and Nxai Pan are incorporated into both set-departure and tailored itineraries. Guests will arrange their own international or domestic flights to Botswana up until the point arranged for John Chase Safaris to meet guests at their hotel or the airport when they arrive. 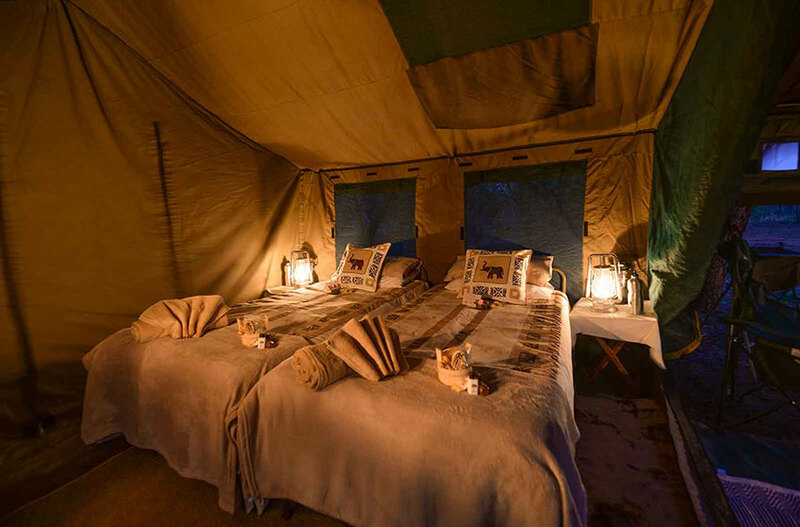 Depending on whether it is a set-departure or tailored safari, guests’ first destination in Botswana will vary. 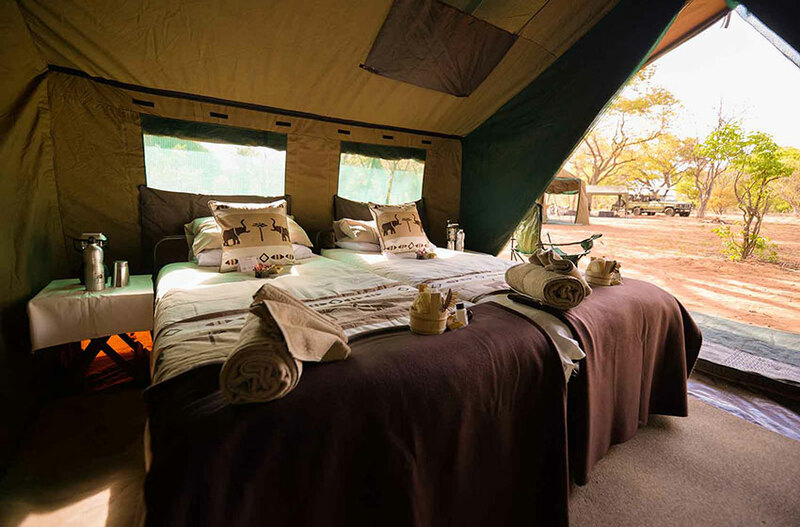 Set departures begin in Maun, where a John Chase Safaris representative will collect guests from Maun airport/hotel and whisk them off in a game drive vehicle to their campsite in Moremi Game Reserve (roughly a 3 – 4 hour drive). 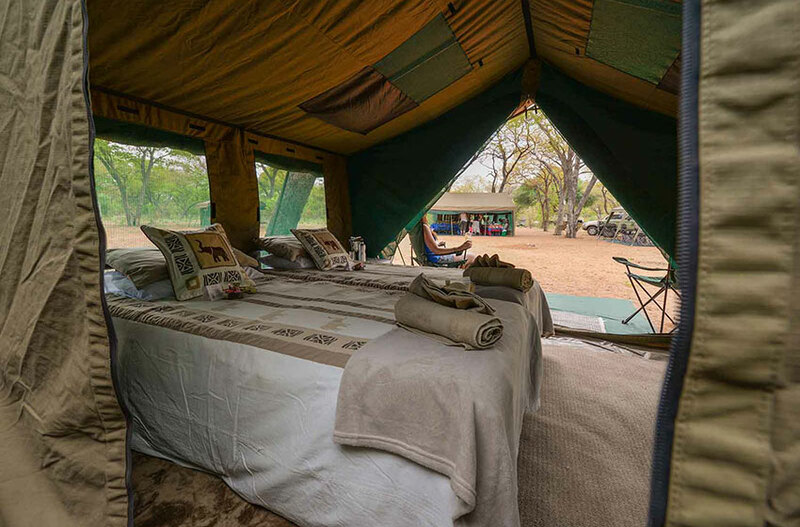 Should the safari begin in Chobe, guests will be met at Kasane airport and commence the 2 hour journey through Chobe National Park to the prepared campsite.